We asked our incoming group of grad students what info they wanted about campus after they’ve arrived in South Bend. I’m a third year grad student, and I still had to think hard about some of these questions! We all need a bit of refresher sometimes! 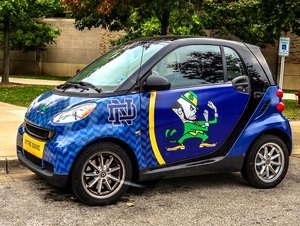 What is ND Roll Call? (2) your ndID number (begins with ’90’) or netID (alpha-based prefix to your @nd.edu account). Please bring both to the Campus Card Office located in 423 Grace Hall (Campus Map) during the hours of 8:00am – 5:00pm, Monday through Friday. Register your bicycle with NDSP and display the tag visibly on the bike. Registration is free and can be completed in person with your bicycle at Hammes Mowbray Hall, by flagging down an officer or at one of several registration events held throughout the year. Most students are paid on the first and fifteenth of the month. You can get the details here: http://controller.nd.edu/payroll-services/payroll-schedules/ The easiest way to receive your pay is to set it up through direct deposit. If you get direct deposit at least once a month, you can get a free account from a popular local bank called 1st source. 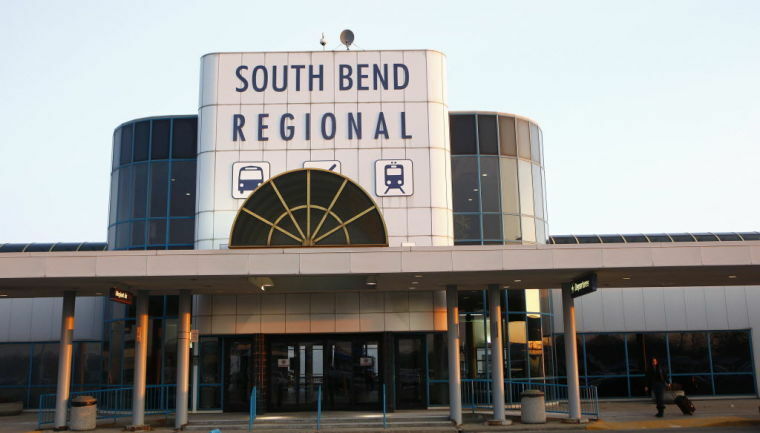 Where do people hang out around South Bend? Popular places include- Chicory Cafe, The General (a coffee shop), South Bend Brew Werks, and Crooked Ewe. You often find people hanging out on the river walk located along the Saint Joseph River. When do you register for classes and find out TA assignments? For most grad students, registering for classes is not a competitive process. You can go on to Insidend to register for classes. In general, you will want to consult your department’s director of graduate studies (the DGS) for details on schedule formulation. The procedure for TAs is specific to the department, so contacting your DGS is a good way to get the latest updates on that as well. How do International Students get a bank account? This will depend largely on the particular bank. You will at least need to have a lump sum to open the account. Popular banks an international student may want to establish an account with include 1st Source, Notre Dame Federal Credit Union, and WellsFargo. 1st Source is located in the Lafortune student center on campus. Q: Can you tell me about your campus? 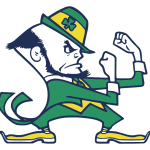 According to the About section on the University of Notre Dame website: “The University of Notre Dame was founded in November 1842 by Edward F. Sorin, a priest of the Congregation of Holy Cross, a French missionary order. 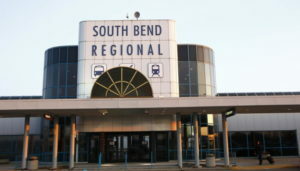 It is located adjacent to South Bend, Indiana, the center of a metropolitan area with a population of more than 300,000. Chartered by the state of Indiana in 1844, the University was governed by the Holy Cross priests until 1967, when governance was transferred to a two-tiered, mixed board of lay and religious trustees and fellows. Notre Dame has grown from the vision of Father Sorin, who sought to establish a great Catholic university in America, and has remained faithful to both its religious and intellectual traditions. Over the years, Notre Dame has been a place where the Catholic Church could do its thinking. The first national study of Catholic elementary and secondary education was done at Notre Dame, as was the most extensive study of Catholic parish life and a landmark historical study of the Hispanic Catholic community in the United States. One of America’s leading undergraduate teaching institutions, Notre Dame also has been at the forefront in research and scholarship. The aerodynamics of glider flight, the transmission of wireless messages, and the formulae for synthetic rubber were pioneered at the University. Today researchers are achieving breakthroughs in astrophysics, radiation chemistry, environmental sciences, tropical disease transmission, peace studies, cancer, robotics, and nanoelectronics. For more information, feel free to explore nd.edu!